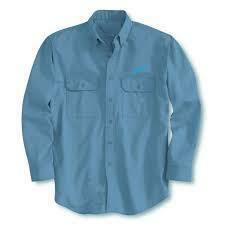 Engaged in manufacturing, supplying and exporting industrial uniforms such as industrial workers uniform. Manufacturer & Exporter of a wide range of products which include Industrial Uniforms such as Industrial House Keeping Uniforms, Labour Uniforms, Labour Shirts, Office Boy Uniforms, Office Staff Womens and Office Staff Uniforms. Banking on our vast industrial experience, we offer an exceptional array of Industrial Uniform that are skin-friendly in nature and are extremely comfortable. Our entire product range is offered in varied fittings and is extremely soft in nature. Industrial Uniform is light in weight. We are offering Labour Uniforms to our clients. We Are Leading Manufacturer And suppliers For Teachers Uniform Suits In India Such As Chennai, Hyderabad, Vijaywada, Vishakapatinam, Bangalore, Pune, Nagpur, Jaipur, Kolhaur, New Delhi, Kolkata, Bhubaneswar, Raipur, Ranchi, Madurai, Nashik, Lucknow, Kanpur, Indore, Ernakulam.